Unsupervised clustering analysis of periodic variable stars from the LINEAR data set. 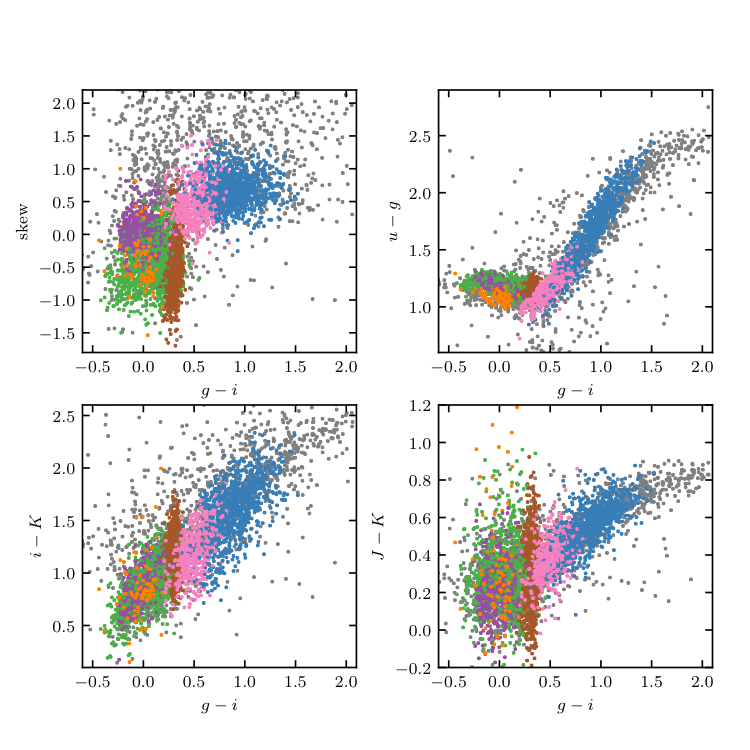 The top row shows clusters derived using two attributes (g - i and log P) and a mixture of 12 Gaussians. The colorized symbols mark the five most significant clusters. The bottom row shows analogous diagrams for clustering based on seven attributes (colors u - g, g - i, i - K, and J - K; log P, light-curve amplitude, and light-curve skewness), and a mixture of 15 Gaussians. See figure 10.21 for data projections in the space of other attributes for the latter case. Unsupervised clustering analysis of periodic variable stars from the LINEAR data set. 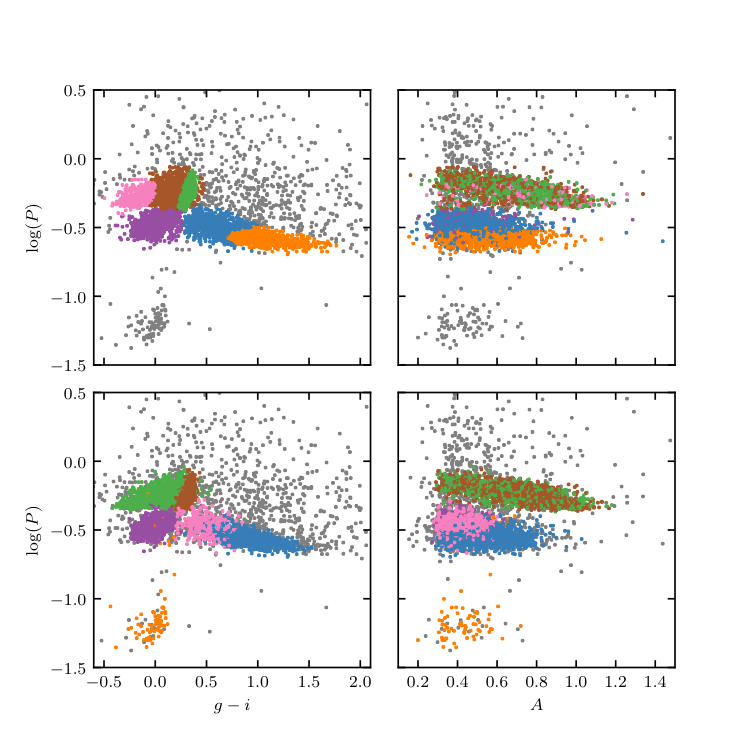 Clusters are derived using seven attributes (colors u - g, g - i, i - K, and J - K; log P , light-curve amplitude, and light-curve skewness), and a mixture of 15 Gaussians. The log P vs. g - i diagram and log P vs. light-curve amplitude diagram for the same clusters are shown in the lower panels of figure 10.20.